Maddy attended the Oxford Real Farming Conference earlier this year and was surprised to encounter a session, ‘Farming and Metaphysics’, with a packed audience. Here she reflects on the answers she found. Earlier this year, I attended the Oxford Real Farming Conference (ORFC), two days of inspiration, information and practical sharing of regenerative agriculture, horticulture, food sovereignty and policy. Started as an alternative to the ‘other’ industrial ag conference run by the NFU, it is one of the best and most holistic events I have been to. After the event, I was buzzing with the calibre of the talks, the power of the network, and the generous and friendly atmosphere. The last session I attended was ‘Farming and Metaphysics’, chaired by Colin Tudge (co-founder of the Campaign for Real Farming), with Tom Gorringe, a Christian and Emeritus Professor of Theology at Exeter University, and Justine Huxley, a Sufi from St Ethelburga’s Centre for Peace and Reconciliation, and Rabbi Jonathan Wittenberg from North London Masorti Synagogue. It was a departure for ORFC and inspired a wide ranging and erudite discussion about the role of religion, spirituality, land ownership and radical change in our relationship to the land. During that discussion, I asked a question: I believe that a growth in consciousness is the mechanism to begin a paradigm shift to a more resilient, regenerative and kinder world. Could the panel give the audience their advice in how we might grow consciousness? Jonathan Wittenberg spoke movingly of Hans Jonas’ final lecture, delivered days before he died, in which he spoke of the next revelation as coming not from Sinai or Gethsemane but from ‘the outcry of mute things’. We are hearing that cry now and need to respond with all our mettle. Your belief system is your personal choice. I am not prescribing or projecting anything on to you. What I am suggesting is that irrespective of belief, let’s help each other to become the people we want to be. Let’s develop our own practices that bring us closer to nature, more capable of listening and reflecting, more supportive of each other, and more able to act with greater wisdom and good effect in the world. 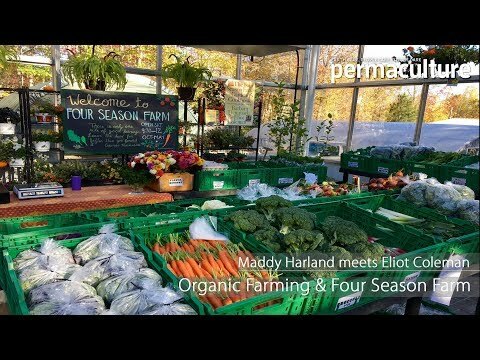 Maddy Harland is the editor of Permaculture magazine - a quarterly available in print or digital, celebrating 25 years of publishing this year. In September 2017, her new book Fertile Edges: Regenerating Land, Culture and Hope will be published. We know that metaphysics is a branch of philosophy that studies the original nature of reality, the world and being as such. And I agree that there must be changes in society based on human activity and its consequences. But don't forget about physics. Recently, in my physics assignment, which I made with the help of https://assignment.essayshark.com/ site, I saw different trends, which are designed to reduce the harmful effect. For example, the first-of-its-kind store in Holland, in which you will not find anything packed in plastic. We know that metaphysics is a branch of philosophy that studies the original nature of reality, the world and being as such. And I agree that there must be changes in society based on human activity and its consequences. But don't forget about physics. Recently, in my physics assignment, which I made with the help of [url]https://assignment.essayshark.com/[/url] site, I saw different trends, which are designed to reduce the harmful effect. For example, the first-of-its-kind store in Holland, in which you will not find anything packed in plastic.